The latest flavors showcased in the 12-part video series “Crystal Cruises Presents: A Culinary Journey Hosted by Chef Jon Ashton” are courtesy of a Sydney favorite. Crystal Cruises has released the third episode in its 12-part video series highlighting the flavors of the world, this time featuring Adelaide, Australia. Crystal Cruises has unveiled a collection of 16 new “Crystal Getaways” for 2019 and 2020. 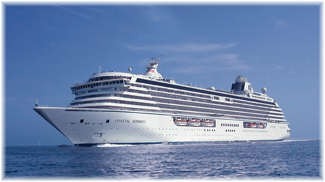 Crystal Cruises has unveiled its 2022 Full World Cruise aboard the award-winning Crystal Serenity, a singular circumnavigation featuring five embarkation and disembarkation choices ranging from 86 to 116 nights, each option offering World Cruise benefits. Crystal Cruises has released the second episode in its 12-part video series highlighting the flavors of the world. Adventurous luxury travelers can now book their 2021 expeditions aboard Crystal Endeavor, as reservations open today for the polar class expedition yacht’s full year. A Crystal Esprit Greek Isles cruise departing August 11, 2019, is now available as a charterer has cancelled. Mediterranean sailings this summer are all very busy so this is a great opportunity for you to sail on Crystal’s stunning yacht this summer. Veteran travel expert and broadcaster Peter Greenberg has released a preview of his upcoming The Travel Detective special starring Crystal Serenity. 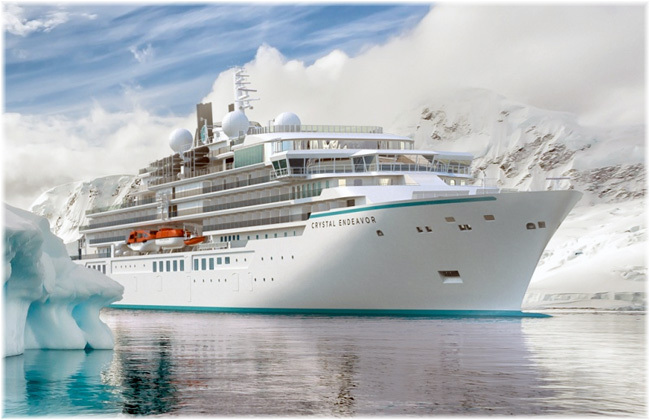 Crystal Expedition Cruises today announced the complete roster of far-reaching 2021 itineraries for its luxury expedition yacht Crystal Endeavor. Crystal Cruises has partnered with Chef Jon Ashton to produce a 12-part video series that takes viewers on a delicious journey around the world with Crystal’s culinary team. Chef Ashton, a celebrity chef who has appeared on cooking segments on NBC’s Today Show and The Tonight Show, has been a returning favorite guest chef on Crystal’s Wine & Food Festival voyages for the past 12 years.